All this rabbit ever needed was a little care and dedication. 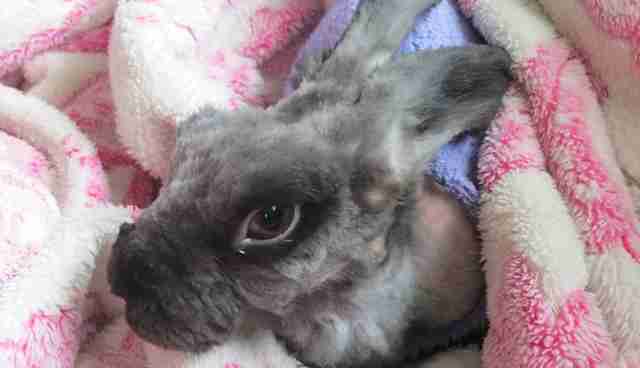 Instead, this rabbit's former owner almost let him die. But against all odds, he didn't. 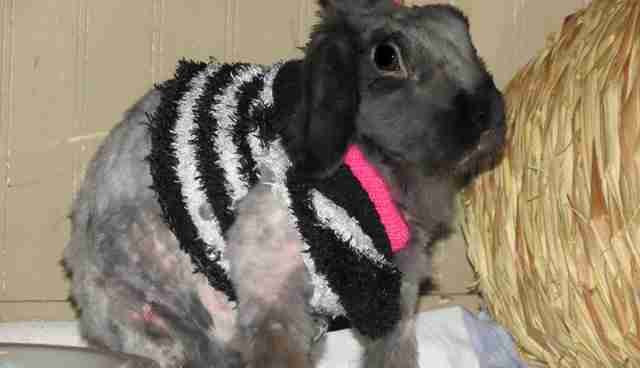 Rambo, an Angora rabbit, arrived at the New Hanover County Rabbit Rescue of Wilmington in North Carolina, where his owner dropped him off, in appalling condition. The Angora breed of rabbit in particular is known for its fast-growing, long silky fur, which means owning one is even more responsibility than the average rabbit. 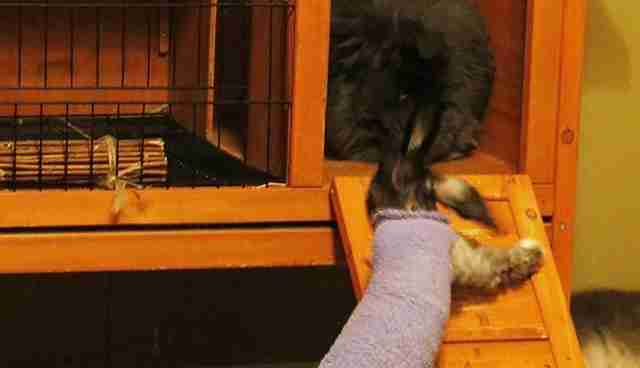 "[Rambo's] owner stated that they gave him up to me because it wasn't getting along with the other rabbit," Jennie Hoyt, president and founder of the rescue, told The Dodo. "Once I got the rabbit home, I could tell that there was more to the story." As it turns out, Rambo was severely malnourished and had matted fur so severe he was unable to move or relieve himself, leading to a rectal prolapse. Furthermore, his fur had become tangled with urine and feces. "Normally, rabbits die before they are starved as he was - so it is truly a miracle he survived his ordeal," Hoyt wrote in a Facebook post, also stating that Rambo was "days from his death" by the time he reached the rescue. "The owner had used our [rescue's] veterinarian to get him neutered a few months prior to surrender," Hoyt said. 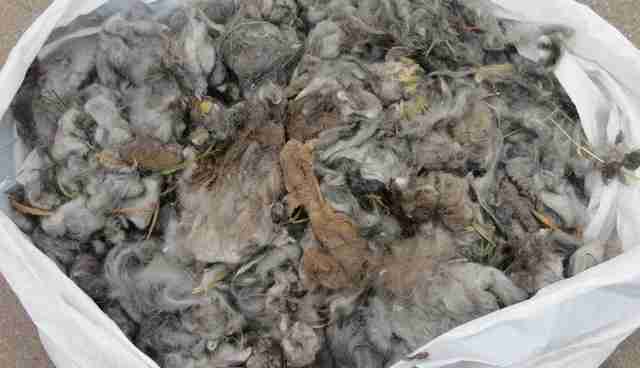 "I spoke to the vet about it and we decided that the best approach was to use this as an educational story and not to go after [the owner] personally ... Angora [rabbits] are the most difficult breed to own and keep properly." Rambo was quickly given medical attention at the rescue. He was put on antibiotics, and gradually regained not only his weight, but his health. He was also shaved down. 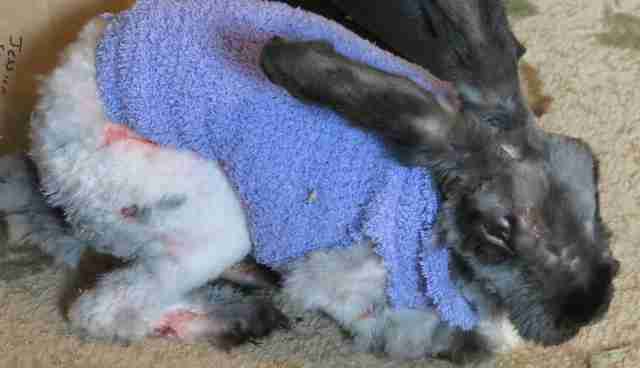 Sadly, since his fur was so matted, he experienced unavoidable cuts to his body during the process. In his shaved-down state, Rambo was given tiny sweaters to keep warm. According to Hoyt, Rambo had bad litter box habits when he first arrived, but has since been rehabilitated to become a neater and cleaner pet. Today, Rambo is a completely different rabbit - he's much happier and now on the hunt for a forever home where he'll never be neglected again. Click here if you live in the North Carolina area and are interested in giving Rambo a home. 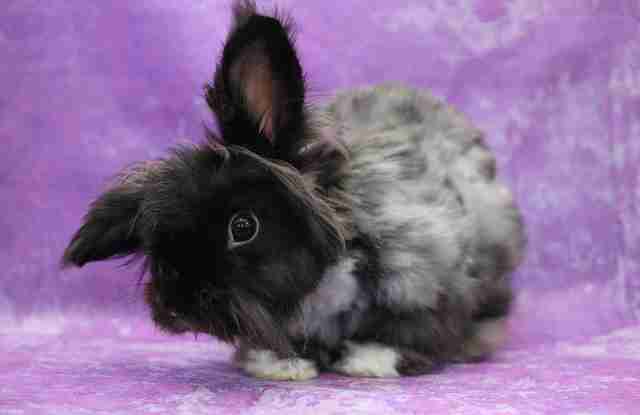 Not in the area, but still want to adopt a rabbit or another animal in need? Get started at Adopt-a-Pet.com. Here is a guide on how to properly care for Angora rabbits. Check out this video clip of Wally, an Instagram-famous English Angora rabbit.